The International Law Commission's Guiding Principles for Unilateral Declarations and its Guide to Practice on Reservations to Treaties are among the recent developments in international law. These developments support a new assessment on how optional clauses (eg Article 62(1) of the American Convention on Human Rights) and especially the Optional Clause (Article 36(2) of the Statute of the International Court of Justice (ICJ)) can be characterised and treated. The question is in how far optional clauses and the respective declarations can be considered a multilateral treaty or a bundle of unilateral declarations and to what extent one of the corresponding regimes applies. 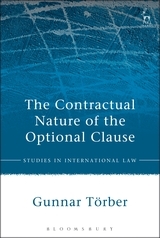 Based, inter alia, on the jurisprudence of the Permanent Court of International Justice and the ICJ on the Optional Clause, but also on the relevant jurisprudence of the Inter-American Court of Human Rights and the European Court of Human Rights and the General Comments of the United Nations Human Rights Committee, this book provides a comprehensive assessment of all legal issues regarding the Optional Clause and also optional clauses in general. 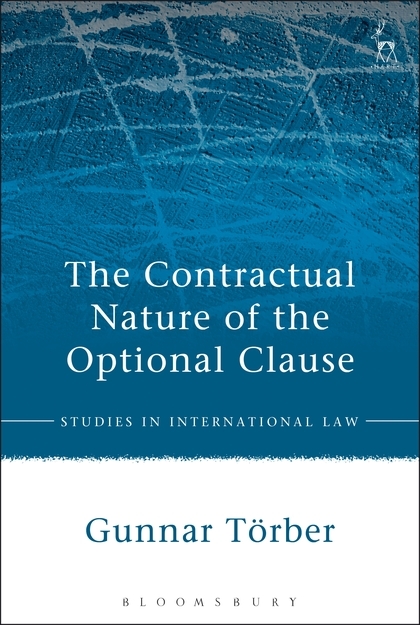 The book deals with the making of Optional Clause declarations, the interpretation of such declarations and reservations made to the declarations as well as the withdrawal or amendment of declarations. I. An Obligation Pre Seisin ? II. An Obligation Towards Other States ? I. The Rules for Treaty Interpretation Applied to the Optional Clause . Gunnar Törber is Legal Researcher at the University of Münster.